1 Bedroom with extra sleeping space if needed/ 2 bath. Sleeps 1-3. 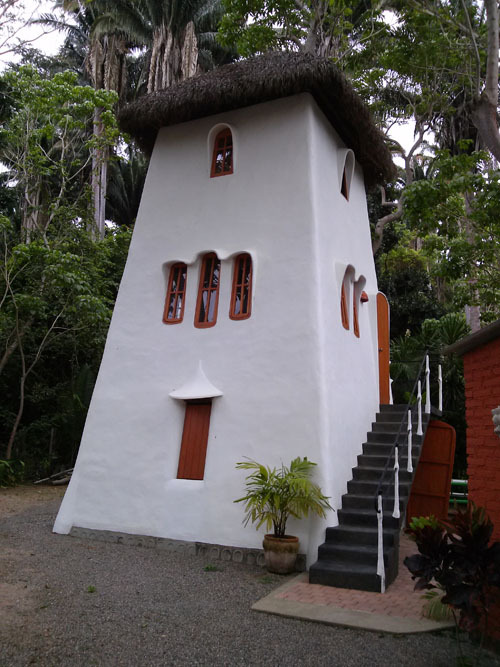 Casa Los Gallos is a unique structure, reminiscent of a converted windmill in Spain or a lighthouse on the coast of British Columbia. This space can comfortably accommodate two parties (a couple and one individual). 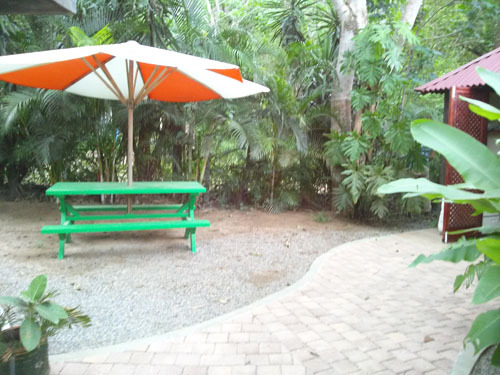 The kitchen is a well set up independent structure and there is a shaded picnic / dining area. 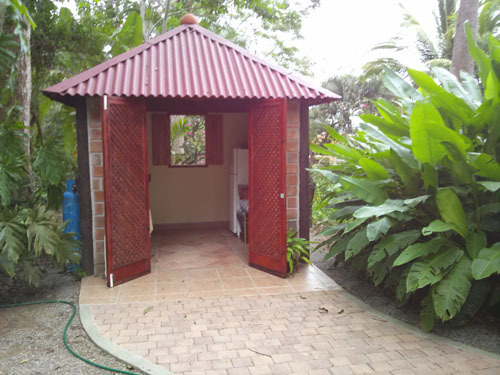 There is also an additional outdoor shower and bathroom. The house has three floors. 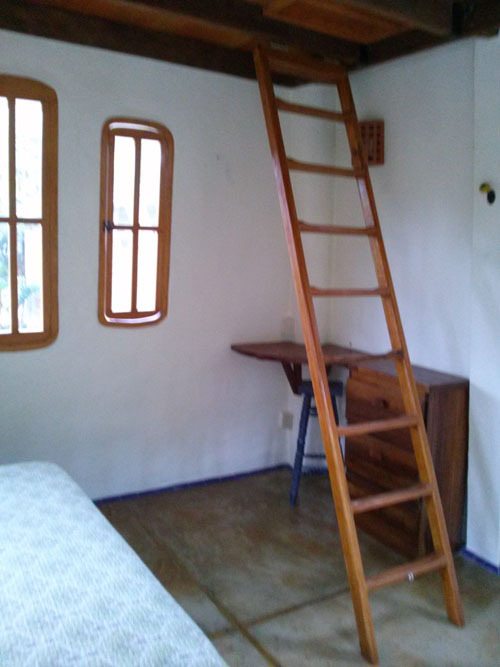 The first floor has it own access, it could be used as a bedroom or living room- den, it has a matrimonial bed. 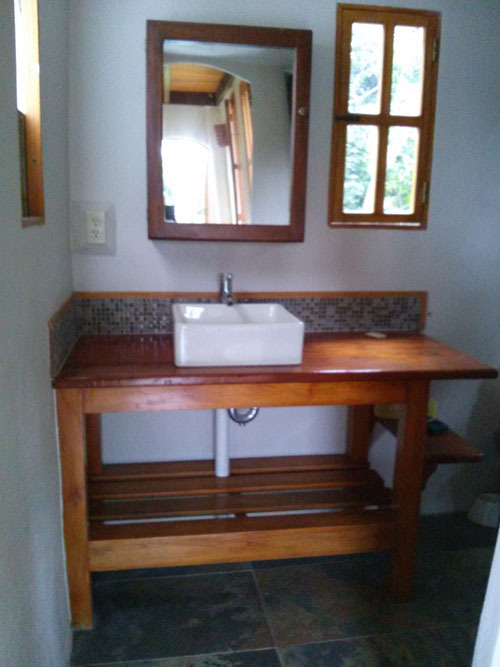 The middle floor has a queen size bed and en-suite bathroom/shower. The top floor is a nice place to lounge in the hammock and enjoy the view. 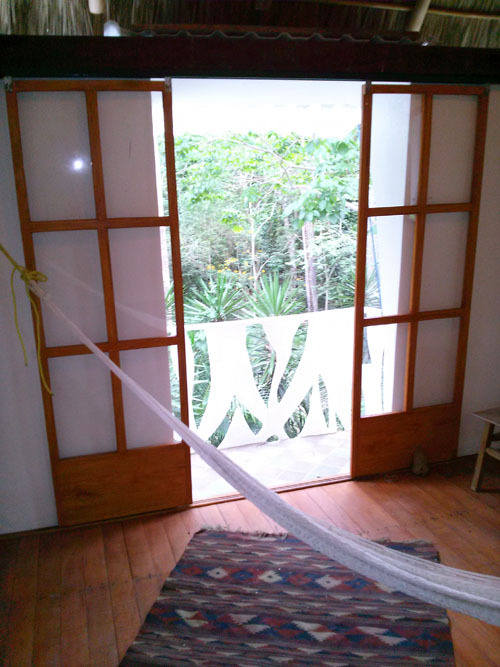 The house borders the Tamarindo land. This house is in a local Mexican neighborhood, so be prepared for the sound of: roosters crowing, dogs barking and children playing. 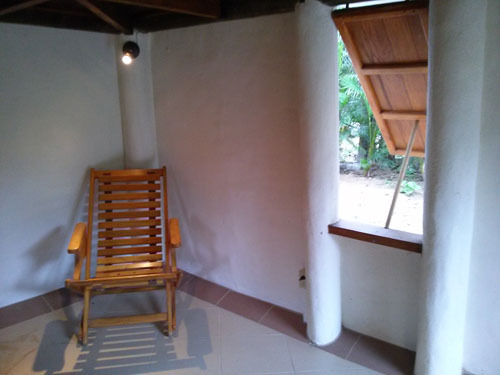 From Casa Los Gallos enjoy a quick ten minute walk over the bridge and through the village to the beach. Contact us for summer rates. We stayed in the Lighthouse for a month last winter, and found it to be really sweet! 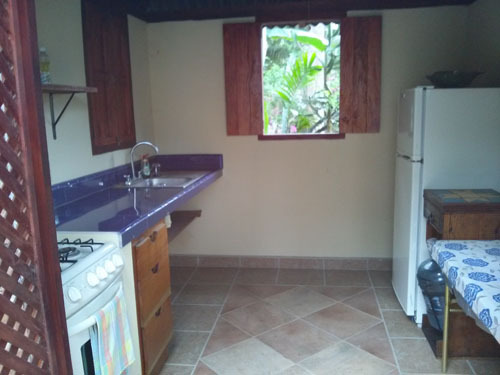 The outdoor kitchen is well-equipped, and the second floor has great views of the surrounding hills and palm groves. 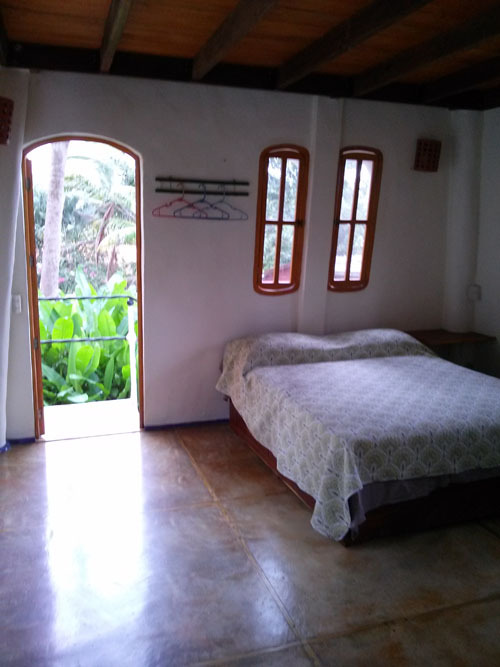 The queen-sized bed has good linens and light blankets on it.The bathroom has a beautiful copper-surround behind the hot shower, and it’s well -stocked with thick towels, soap and shampoo. The large yard and garden is well-maintained, with borders of smaller palms and flowering bushes that give it a lush, forest-jungle feel. A bicycle is available, and it’s handy to have for riding into town and also to the beach, but the 10 minute walk is also pleasant. 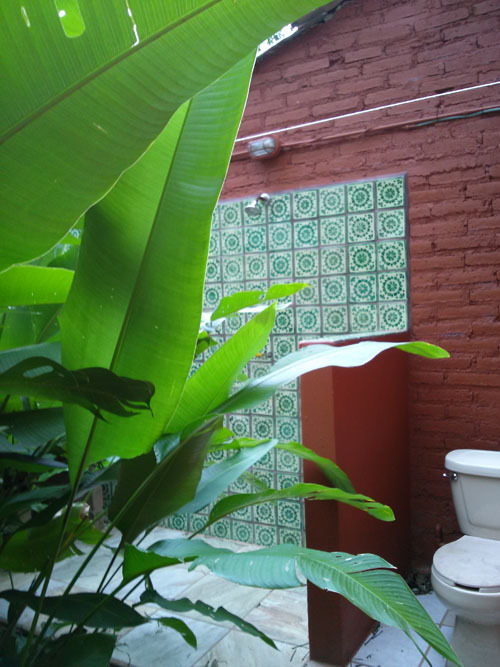 The surrounding neighborhood is largely local Mexican, and the people are very friendly, -and yes, the roosters do crow in the morning, but it’s a beautiful sound that we got used to!